2. Seam sealer tape applied during manufacturing process prevents water penetrating the cover at the seams. 3. Universally applied,covers for variety of lounge chairs and you'll keep your furniture protected and looking great for years. 4. Come with carrying bag that allows for easy storage and transportation when not in use. 5. 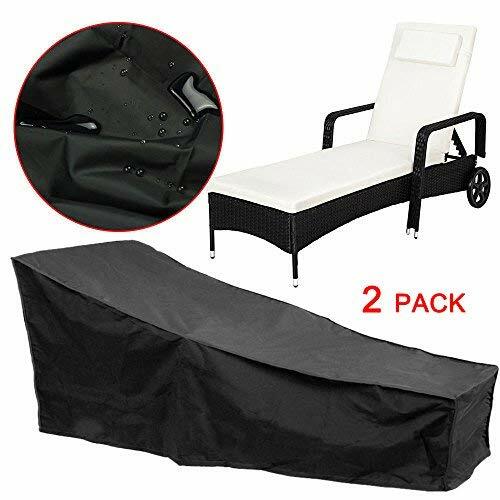 Size up to 82''(L) X 29"(W) X 31"(H), can protect most of your sun loungers well. If you have any questions about this product by feifei, contact us by completing and submitting the form below. If you are looking for a specif part number, please include it with your message.